Chemistry - The Mole & Stoichiometry Assessment tomorrow! Try this online practice to aid with your preparations. AP Chemistry - Wrapping up our unit on Chemical Equilibrium today. 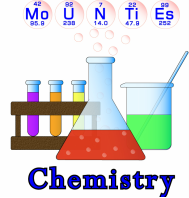 Don't forget MasteringChemistry is due tonight; Unit Exam is tomorrow.